A self guided trip is a ‘on-your-own’ cycling adventure where you set your pace with the local support of our partners. You will be given detailed maps and descriptions including tips on restaurants, things to see and do etc. that will leave you to fully equipped to explore on your own. You will have access to a 24/7 emergency contact and your bags will be transported to your next overnight accommodation. On the other hand, a guided trip means that you will be with a guide, who will look after all the logistics, tell you the stories behind all the places you visit and the vehicle transporting the bus will travel along. The driver and he work together to help with sightseeing, meal reservations etc. and of course you always have the choice of jumping in the van if you want. The group size can vary depending on the destination but the maximum size is usually 20 persons. The inclusions on both vary and so does the cost. The other difference is assistance with technical issues - on a guided trip you have the support while on a self –guided tour, you better learn to fix a flat tyre before you book the tour! The Active Holiday Company offers guided and self-guided trips. In certain destinations we may be able to offer only guided or only self-guided trips. Most of our biking trips are designed from the vacation perspective so you can enjoy the destination and they are very comfortable for people of all fitness levels. We do have an occasional trip that you can choose to break your speed records. Cycling trips are graded based on distance, the terrain and other challenges such as the weather of the destination which also plays a role in the overall experience. Grade 1: Easy trip on flat terrain, with no more than 50 km cycling a day. Great for beginners. Grade 2: Flat to slightly hilly areas, a bit more per day cycling – perhaps up to 65 kms. Grade 3: Needs some cycling experience as distance can be up to 75 km a day and can include some climbs. Grade 4: Even if distances are around 80 km the terrain can be mountainous and full of steep climbs requiring good fitness and training. Grade 5: Serious and strenuous biking trips that need strong cycling experience – at times they are competitive. Whether you choose a guided or a self-guided trip, all cycling trips include luggage transfer from hotel to hotel. You will be requested to keep your baggage out before you leave and your bags will reach your destination before you. At times, though rarely, you may arrive at your destination before your bags but be rest assured that they will reach you. Luggage transfer and handling of one piece of bag, weighing no more than 20 kilos is allowed free on charge on every trip. Sturdy bags that are easy to handle are recommended so they hold through the trip and daily transportation. Though it is safe, please note that we take no responsibility for the contents of your luggage and damage to handles and wheels. You may also carry along a small back-pack for day use that is easy for you to carry. Apart from trying to provide accommodation that is comfortable at the end of a day, we strive to include hotels, country lodges / inns and guest houses that give you a flavour of the destination. Private facilities with attached shower and toilet are standard in most cases. On some vacations, we will offer you the opportunity to upgrade though even then in smaller towns and villages, the level may just meet acceptable ‘comfort’ standards. Giving up some of the luxuries is often considered part of the adventure and we like to support the small, family run places as they are more personal and it helps us to support the local economy. Extra nights as well as tour extensions are available at the start and end points of most trips. These can be booked before or after booking your cycling trip with us. Some of the shorter trips can be combined with other trips or you can also consider another travel style for the rest of your trip, making cycling a part of it. To be honest, we try not to standardise anything. We want you to discover the destination and enjoy it for what it is. And that can mean that you simply go with the flow and at times take the differences in your stride not judging – for example the standard in Asia is very different from what it is in Africa and Europe and even in Europe the standards of Northern and Southern Europe are not comparable. The quality and comfort of your mean-machine has a strong influence on your vacation experience and this is why we ensure that quality and comfort is not compromised on. All cycling trips include well-maintained, multi-geared bicycles with comfortable saddles. Brands differ in different countries but they are always reliable, sturdy and easy wheeling trek bikes without a compromise on traffic safety systems. If you are taking a self-guided trip, your bicycle will be equipped with a repair kit, comprising spare tubes, locks etc. On some trips you may upgrade your bicycle at a supplement. Please check with us if you would like this option. To provide a bicycle of the right frame size we request your body height when booking the tour. Our frame sizes differ in different countries and in some cases, it may be absolutely necessary to have the bikes booked ahead of time to guarantee the most comfortable one to suit your built and even then we cannot always guarantee that we can offer you the perfect fit for your size. E-bikes are supported with an electric motor (operated with a removable battery), fixed on the bottom bracket. E-bikes don’t warrant a driving license and can push you up to 25 km/h without pedalling. These unisex bikes are great for trips that need you to ride up inclines. An additional battery is provided to make sure that you are always powered. Weighing about 23 kgs it comes with an illuminated LCD display, a computer and a wattage display add to the comfort. Some of our E-bikes are pedelec i.e they assist with electric support only when pedalling. E-bikes are available on select trips and destinations. Usually the upgrade option will be mentioned on the trip pages. If you don’t see it on the inclusions exclusions page, chances are they it is not available on a certain trip. All the same, don’t hesitate to ask us, if you’d like one. Upgrade to these bikes costs extra. Yes, that is one of those things that is not in our control but we think those getting on an outdoor adventure are rarely fussed up about these things - having to rough it out is part of the adventure. Though, we recommend that you be prepared for cooler temperatures, sunny days and the rain. No they are not included unless we have explicitly stated that they are. Please be aware that they cannot be rented either. We strongly recommend that you carry your own, especially if you are on a family trip. Insurance of any form is excluded from our vacation and whether you take a regular vacation, an active trip or an extreme adventure break, we strongly recommend you get yourself covered. 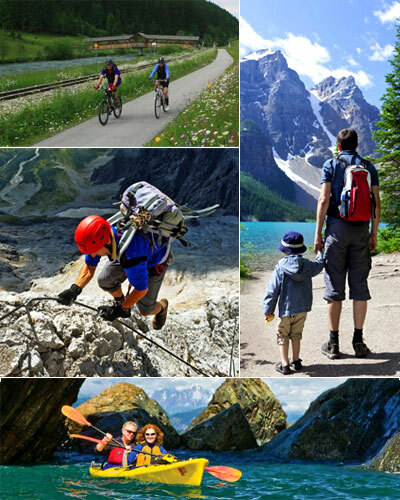 The Active Holiday Company can assist with special insurance meant for adventure trips. Please refer to our ‘insurance’ link. Unlike big tour operators, we do not hold any inventory at hotels unless it is a guided trip and even then we have to check if we have the space to accommodate your booking. For all independent trips all overnight accommodations have to be contacted individually to get your tour confirmed. If any accommodation option in unavailable we will discuss options with you – including refunding your deposit if our options don’t work for you, however, no booking request will be processed unless we have received your deposit. Please do not make any other travel arrangements unless you have received our confirmation as we are not liable for airline tickets and visa costs if these are done prior to your trip being confirmed. Our travellers come from all parts of the country. Some like to extend with more touring and sightseeing, others prefer to book online and at times they even like to use their miles for discounted travel. It is always easy to add flights and we can do so if you would like us to, even if our cycling trips are priced on ‘land-only’ basis, excluding flight costs. 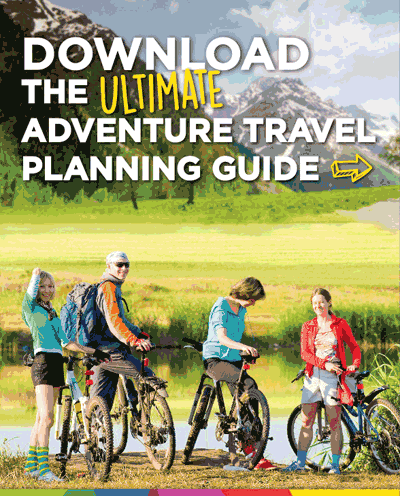 You will receive detailed information about how to get to the starting point of your cycling trip. In most cases, in Europe, public transport including buses and trains will get you there. In some cases we may need to arrange airport transfers. These are not always included in your trip price and if you require these, please contact us. In Asia, where the public transport system may not be reliable and easy to follow, we have tried to include airport transfers in your trip price. You will travel with detailed maps and instructions with alternative routes so you can create your own adventure. Self-guided trips need that you know the basics like fixing your own punctures, reading maps and so on before taking such trips. Should something go wrong, however, you can always call the emergency contact number and help will be close by as our network is spread across destinations and we only work with partners who have a local presence in the destinations we promote.